Sage ERP systems have helped many companies make great progress towards their revenue and productivity goals. Shared access to information, better data and reports, and integrated systems have helped companies use important information successfully to further their goals. Now, cloud technology has been added to the mix. No, it’s not what’s drifting across the sky. Cloud technology refers to shared servers, linked through the internet, to form a richer, more robust resource of computing power. New cloud-based ERP is helping companies in new and innovative ways. Let’s look at how Sage Business Cloud can improve customer service, an important part of the value proposition that businesses bring to their customers. Cloud applications make data accessible to all who need it. Cloud ERP increases the ability to collaborate with all your stakeholders—from vendors to employees to customers—no matter where they are located. It allows you to give your customers access to information about their orders, services, and invoices. Not only does this increase customer satisfaction, but it also reduces the expense of support and improves efficiency. In fact, a great number of customer service calls can be avoided if the customer has a thorough and accessible portal. Cloud computing enables companies to be more agile. 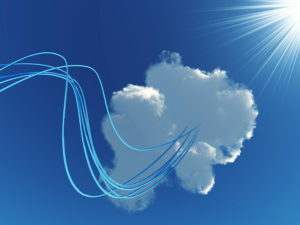 Cloud computing allows you to accelerate innovation and slash expenses. In order to truly engage your customer, you need to listen to them. Then, you need to provide innovative products and services that provide value to the customer. With the cloud, you can react quickly to changing customer expectations and build and test ideas faster. You can focus on what you do best and leave the technology to technology experts. Cloud technology provides enhanced flexibility and scalability. With your ERP, you can collect customer data, analyze it, and use it to create better products and build solid customer relationships. Cloud ERP gives you the flexibility you need to be responsive to changes in customer requirements. With a hosted cloud, you can harness the capabilities of top-caliber computing without having to build and maintain it. It enables you to quickly respond to increased demand by scaling up to handle additional volume. As you can see, cloud-based software offers many advantages. Improved customer service through a scalable, faster business response is just one of them. Now, Sage offers new software that can help you improve productivity in many areas. Sage Business Cloud has all the business software you need in one convenient package. Additional applications are also available that connect easily to Sage Business Cloud so you can adapt the product to your unique business needs. Sage Business Cloud offers a right-sized package for every business. It takes ERP to new levels and provides a comprehensive suite of business services that can be scaled as your needs change. For more information about Sage Business Cloud, contact IWI Consulting Group. IWI Consulting Group helps businesses gain insights into their operations, inventory, and profitability. We provide software and support for a wide range of industries throughout Canada. For more information, please visit IWI Consulting Group or contact us today.